M and I went to Egypt together in January. We went for the brilliant reason of “Because it is Tuesday.” This is an excellent reason for just about anything, I suggest you make use of it. We traveled with Air France Holidays. 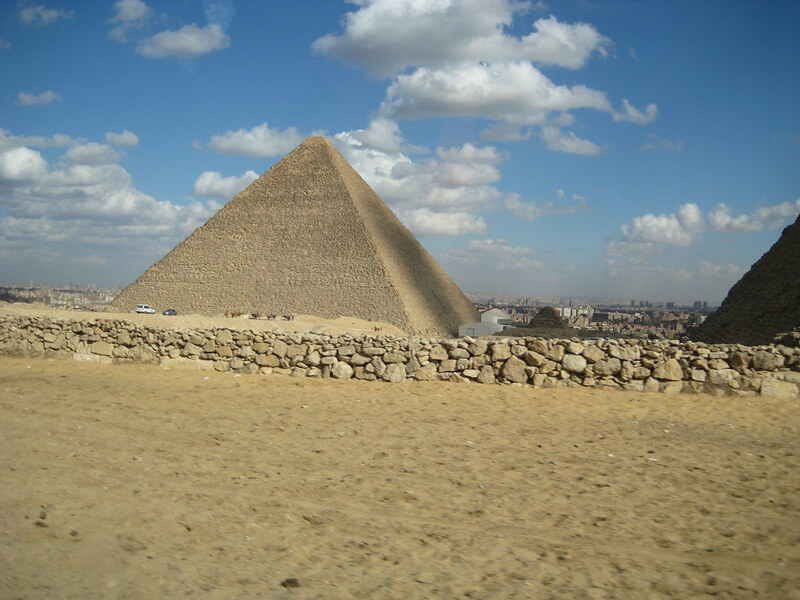 Our vacation package included round trip airfare from JFK through Charles De Gaulle Airport in Paris to Cairo, ground transportation to and from our hotel in Cairo, and hotel accommodations. Through a friend of mine here in La Crosse, who used to go to Egypt every couple of years, and a professor in Minnesota, I obtained the phone number for a gentleman at Wings Tours. He and I communicated mostly via email, which was helpful considering the eight hour time difference. I gave him a wish list of things we wanted to do and he filled gaps with recommendations and arranged for a driver and personal tour guides for our days in Cairo. I cannot speak highly enough of our tour guide in Cairo or of our driver. I know it’s been a while getting this up. February kind of exploded in my face and suddenly it’s April and I have the 4th Annual Knitting in Public Day next week. Bear with me. I've been so waiting for these photos! I almost forgot they were coming and now it was just a teaser… cruel, cruel! I hope the knitting event goes well this week!